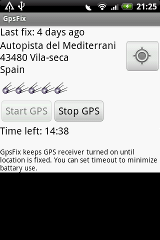 A DVR and GPS tracker for Android. VideoRoad is 2in1 tool: it records what you see through your car windshield and records GPS-track. VideoRoad does not collect or transfer any data to us or to any third party apart from the circumstances explained below. VideoRoad uses your phone’s camera to record trips video. All records are stored locally. VideoRoad does not transfer any records to us or to any third party. VideoRoad uses your phone’s microphone to record video with sound. All records are stored locally. VideoRoad does not transfer any records to us or to any third party. VideoRoad uses your phone's location to record a gps log that corresponds to your video containing location and speed information. Required to write recorded video to external storage. VideoRoad does not transfer any user personal information to us or to any third party. A phone call recorder solution for Android. AllCallRecorder does not collect or transfer any data to us or to any third party apart from the circumstances explained below. AllCallRecorder uses your phone’s microphone to record phone calls. All records are stored locally. AllCallRecorder does not transfer any records to us or to any third party. Required to write recorded phone calls to external storage. AllCallRecorder does not transfer any user personal information to us or to any third party. Required to automatically start and stop record phone calls. AllCallRecorder does not transfer any user personal information to us or to any third party. AllCallRecorder uses your contacts to show recorded calls in more convenient way. AllCallRecorder does not transfer any user personal information to us or to any third party. GpsFix helps to decrease the time required to obtain a position fix. It keeps GPS receiver turned on until location is fixed. GpsFix does not collect or transfer any data to us or to any third party apart from the circumstances explained below. GpsFix uses your phone's location only to show your current location.